CELINE DION’S CAESARS PALACE SHOW WILL INCLUDE FAN VIDEO CLIPS: Celine Dion after a year’s hiatus will return to The Colosseum at Caesars Palace on Thursday, Aug. 27. A roduction update will be to highlight fans from around the world in a montage composed of video clips they submit performing their own rendition of “I Drove All Night.” Video submissions are being accepted until July 25 and must include three elements: shooting oneself in a recognizable place in your town; filming your performance of “I Drove All Night” singing live or lip syncing alone or with others; and at the end of the clip, letting go of a red balloon between you and the camera. Visit www.celinedion.com or www.celineinvegas.com for more information. POSSIBLE NEW RESORT WHERE FRONTIER ONCE STOOD: The latest possibility for a new Strip resort is presented by Australian casino mogul James Packer who filed plans with Clark County. Packer’s group acquired the former Frontier property about a year ago and now they want to build a two-tower, 1,100-room resort called Alon Las Vegas on the vacant 34.6-acre land north of the Fashion Show mall. MANDALAY BAY UNVEILS NEWLY DESIGNED GUEST ROOMS AND SUITES: Mandalay Bay has announced the final phase of its resort-wide transformation with the upcoming redesign of more than 3,000 guest rooms and suites fashioned by the MGM Resorts International Design Group with vibrant colors and bold statement pieces. The approximately $100 million remodel is expected to be completed by spring 2016. TRIPLE GEORGE GRILL CELEBRATES 10 YEARS DOWNTOWN: Triple George Grill is celebrating 10 years downtown this month with food and drink specials and a special event on Thursday, July 23. For the July 23 anniversary event from 8-10 p.m., there will be entertainment on the patio, passed hors d’oeuvres, a selection of wines and signature drinks and a thank you goodie gift bag. The event is open to the public and costs $15. The entire month of July patrons will receive half off on select signature cocktails. The weekly half-off dining specials include: first week Chicken Pot Pie; second George Burger; third Meat Loaf; and fourth Porcini Crusted Ribeye. USA SEVENS INTERNATIONAL RUGBY TOURNAMENT STAYS THROUGH 2019: United World Sports, the owner and operator of the USA Sevens International Rugby Tournament, and World Rugby announced today that the tournament will remain in Las Vegas through 2019. The next three-day tournament March 4-6, 2016, follows a week full of rugby festivities beginning on Feb. 29. The tournament brings 16 of the top international rugby sevens teams to Las Vegas to play 45 matches as they attempt to gain points in the HSBC Sevens World Series standings. PAWN PLAZA ANNOUNCES ADDITIONAL RETAIL TENANTS: Rick Harrison, owner of Pawn Plaza under construction, has revealed two additional tenants So-Cal Speed Shop and Vegas Flip Flops. These retailers will join Rick’s Rollin’ Smoke BBQ & Tavern on the upstairs deck. So-Cal Speed Shop owned and operated by hot rod enthusiasts Lenny Ribaudo, Sr. and his son, Lenny Ribaudo, Jr. and their families will offer more than 100 different T-shirt designs in addition to hats, jackets, stickers, automobile related signage and memorabilia. Vegas Flip Flops owned by husband and wife owners Marchello and Lisa Tanasi will feature flip flops and sandals in a wide variety of styles and such top brands as Cobian, Havaiana, Olukai, Reef, Rainbow and Teva, to name a few. 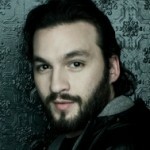 STEVE ANGELLO WILL JOIN OMNIA NIGHTCLUB’S DJ ROSTER: Grammy-nominated and multi-platinum selling artist Steve Angello has been added to the Omnia Nightclub at Caesars Palace DJ roster list and he will debut Tuesday, Aug. 4. The chart-topping Swedish producer will kick-off his exclusive residency with more dates including Aug. 16, 21, 25 and Sept. 12. Iliza Shlesinger and Sarah Colonn –Nov. 14. MANDALAY BAY WILL HOST ‘LAS VEGAS BEER AND BARREL PROJECT’: Mandalay Bay in partnership with Back Bar USA will present the three-day “Las Vegas Beer and Barrel Project” Aug. 28-30. The main event will be the “Mandalay Beach Craft Beer and Barrel Festival” on Saturday, Aug. 29 from 7:30 to 11:30 p.m. featuring dozens of spirits and craft beer barrel stations along with award-winning cuisine by a selection of Mandalay Bay’s top chefs. All-inclusive tickets are $75. The “Las Vegas Beer and Barrel Project” will present a weekend lineup of seminars and mixers to celebrate the craft of brewing including a VIP Reception and Pop-Up Pub Experience on Friday, seminars and panels on Saturday, and “Beer For Breakfast” on Sunday with tickets priced at $50. 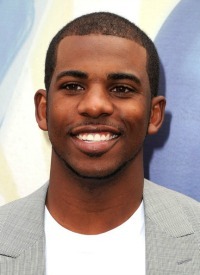 LAGASSE’S STADIUM HOSTS TOPSPIN CHARITY PING PONG TOURNEY: The Third Annual TopSpin Charity Ping Pong Tournament presented by IHG® Rewards Club will return to Lagasse’s Stadium inside The Palazzo on July 18 with host eight-time All Star Chris Paul, who is defending his ping pong title. Confirmed to join Paul for this charity event are Al-Farouq Aminu, Langston Galloway, Willie Green, Bernard James, Wes Matthews, Jerry Stackhouse, P.J. Tucker, John Wallace, CJ Watson, Jerome Williams and Mike Woodson. There are two tiers of tickets: $75 ticket that includes entry to the after-party at TAO nightclub with one hour open bar; and $150 ticket includes everything in first tier plus access to the VIP lounge with complimentary food and beverage and tournament practice area. call 866-641-7469. RECORDING ARTIST MIGUEL SET FOR HIS FIRST DRAI’S LIVE CONCERT: Drai’s Beachclub • Nightclub on the rooftop of The Cromwell is bringing Grammy Award-winning recording artist, songwriter and producer Miguel to its Drai’s LIVE stage on Aug. 28 as part of his 28-city Wildheart North American tour. 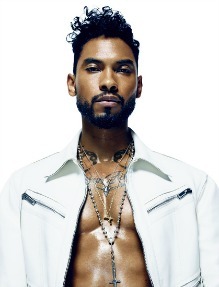 Miguel first hit the mainstream in 2010 with his first single “All I Want Is You.” His four-time Grammy Award nominated sophomore album “Kaleidoscope Dream” features his third U.S. No. 1 hit single “Adorn,” which garnered Miguel his first Grammy Award for Best R&B Song and resided at No. 1 on the R&B/Hip-Hop Airplay chart for more than 23 weeks. THE MOB MUSEUM HOLDS SECOND HOT HAVANA NIGHTS: The Mob Museum downtown will host “Hot Havana Nights” on Thursday, Aug. 6 from 6 to 10 p.m. Guests will celebrate the Cuban culture, including its cuisine, the sounds of the nine-piece Cuban-American Jazz band Rumbantela and dances such as the Tango and Conga. Classic casino games will be available, as will tropical cocktails and a cigar bar. Hot Havana Nights is sponsored by Johnson Brothers of Nevada and presented in collaboration with the Cuban Heritage Foundation.Tickets are $45 with a 10 percent discount for Museum Members, call 702-229-2734. HOUSE SEATS ANNOUNCES THE SET LIST TO BENEFIT RUDY FOUNDATION: House seats Las Vegas in conjunction with the Hard Rock Hotel presents The Set List a celebration of great albums in music history. The Set List continues its season by honoring the top selling album of 1987, “Slippery When Wet” by Bon Jovi to benefit the Rudy Foundation on Thursday, July 9 at 11 p.m. at Vinyl inside Hard Rock. Tickets are $20 for general admission and $30 for reserved seating. 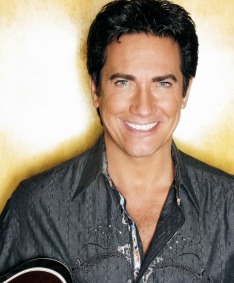 “Slippery When Wet,” a concert celebration, will feature Las Vegas vocalists Brandon Nix, Lily Arce, and Paul Johnson. Future performances for The Set List include, Michael Jackson’s “Thriller” in October and Frank Sinatra’s “The Main Event” in December. NEWS AND EVENT TIPS: Basketball superstar Shaquille O’Neal recently appeared for the second time as DJ Diesel behind the turntables at Chateau Nightclub & Rooftop at Paris. It was exactly one year to the day since his DJ debut. The LV Craft Show will be held at the Silverton in the Veil Pavilion on Saturday, July 18 starting at 10 a.m. More than 50 vendors with a variety of items including handbags, soaps, paper crafts, wood kits, pet goods, community services and more will be in attendance. Admission and parking are free. A weekly Friday Summer Concert Series will begin at the Silverton’s Veil Pavilion at on July 24 at 7 p.m. The cool concert series will feature bands like The Blackjacks, Paul Charles, Empire Records, Ashley Red, and Roxy Gunn. Admission is free. The USA BMX Las Vegas Nationals will be held at the South Point Arena July 10-12. This event is free and open to the public to witness the top amateur BMX racers sprint through big jumps, steep backsides and deep turns. A fine art, jewelry, crafts show with live entertainment, games, contests and gifts from sponsors will be held on Sunday, July 19 from 10 a.m.-4 p.m. at the Suncoast. The Artisan Craft Festival of Summerlin is free to attend and all ages are welcome. On Tuesday, July 14 at 7 p.m., The Mob Museum downtown will host its next Author Talk featuring Paul Lieberman who authored the book “Gangster Squad” and served as executive producer of the 2013 feature film of the same name starring Sean Penn, Ryan Gosling, Josh Brolin and Emma Stone. The Author Talk is free with museum admission and free for museum members. Houston-based rapper Chedda Da Connect will perform live at Chateau Nightclub & Rooftop at Paris on Saturday, July 18. 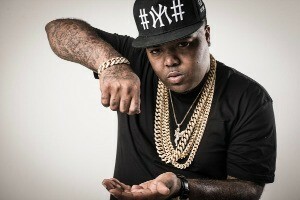 The recently discovered hip-hop sensation with his hit single “Flicka Da Wrist” will perform several hits off of his Catchin Playz 2 mixtape for fans. Admission is $30. Blue Man Group and BLVD Creamery at Monte Carlo have crafted Blue Man Scoup featuring blue vanilla ice cream mixed with some of the Blue Men’s favorite foods: marshmallows, white chocolate Toblerone and Twinkies. Through the end of summer, the ice cream is part of the special $79 BLVD Creamery Ticket Package. The offer includes one Category C: Mezzanine ticket with a $10 BLVD Creamery dining voucher. To receive this deal, guests must mention “BLVD Creamery.” In celebration of Canada Day, Golden Nugget headliner Canadian Gordie Brown is celebrating by offering two free tickets during the month of July for guests presenting a valid Canadian ID at box office. DINING AND BEVERAGE SPECIALS: Buddy V’s Ristorante is offering the Boss’ Express Lunch three-course meal special until Aug. 31 for $22, call 702-607-2355. Made L.V. at Tivoli Village will hold a guest Chef Ben Vaughn’s Southern-Style dinner on Wednesday, July 22 at 6:30 p.m. Cost is $39. On Tuesday, July 28, there will be a Chef Sean Mayhew’s Joseph James Beer Dinner at 6:30 p.m. Cost $39 and $10 extra for beer pairing. This July, Chef Rodelio Aglibot, known as “The Food Buddha,” is bringing an Asian fusion approach to Mercadito’s ongoing list of unique taco recipes at Red Rock Resort as part of Mercadito Hospitality’s national Tacos for Strength campaign. Guests can indulge in a multicultural approach to tacos with the “The Food Buddha’s Pastrami Kung Pao Style Taco” during dinner for $16.50 (four per order). A percentage of the proceeds will benefit Share Our Strength. Each month, chef and owner Patricio Sandoval invites a different chef to “think outside the tortilla.” Tacos & Tequila (T&T) inside the Luxor will honor Piña Colada Day on Friday, July 10 by offering guests the opportunity to show off their Instagram skills by posting a picture of themselves with the popular drink to Instagram using @tacosandtequila and the hashtag #PinaPics to receive the buy-one, get-one-free Piña Colada daiquiri offer. Normally priced at $9, the Piña Colada Daiquiri will be served in a stadium cup at the daiquiri bar located adjacent to the restaurant. Also at Tacos and Tequila, National Hot Dog Day will be celebrated on Thursday, July 23 with an added Mexican twist. T&T’s Sonoran Hot Dog is wrapped with smoked bacon and is topped with creamy jalapeño aioli, whole pinto beans, caramelized onions, pickled jalapeños, pico de gallo and mustard, served on a Bolillo roll. Cabo Wabo Cantina inside Miracle Mile Shops at Planet Hollywood will celebrate National Tequila Day with a week of specials from July 20 to 24. For $5, guests will be able to add an extra shot of tequila to any cocktail. Also Cabo Wabo Cantina has introduced a new happy hour menu Monday through Thursday from 3 to 6 p.m. Happy hour selections include chicken, beef or pork tacos, served street-style priced at $3 each; and daily beer and shot specials starting at $5. FUNDRAISING EVENTS: Fremont Street Experience will host another SlotZilla Charity Challenge on Thursday, July 16 from 1-7 p.m with 100 percent of the revenue during that time benefiting Three Square Food Bank. 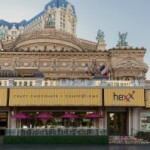 Epicurean Charitable Foundation of Las Vegas (ECF) is partnering with HEXX kitchen │ bar │ chocolate at Paris for an ice cream social fundraising event on Wednesday, July 15 from 3-6 p.m. HEXX, Nevada’s first bean to bar-to-bar chocolate maker, will donate 10 percent of all ice cream sales from their café located in their retail store to ECF. NOMINATIONS ARE OPEN FOR AFAN’S FASHION ICON CONTEST: Aid for AIDS of Nevada (AFAN) is partnering with Macy’s to bring back the “Fashion Icon”” award in celebration of the 29th Annual Black & White Party being held Saturday, Aug. 29 at The Joint at Hard Rock. Through July 12, the public can nominate anyone by emailing a photo and 200-word essay to events@afanlv.org. The top five finalists will be announced on July 15 and featured in a “Vegas Seven” Macy’s fashion spread. The public will vote from Aug. 1-29 for their best-dressed choice at Gay.Vegas. The finalist wins a $500 Macy’s gift card and each runner up receives a $100 gift card. ABOUT TOWN ART SHOWINGS: The Bellagio Gallery of Fine Art’s newest exhibition, “Picasso – Creatures and Creativity” showcasing 43 of the artist’s works will run through Jan. 10, 2016. EKlectica Gallery at the Arts Factory, 107 E. Charleston Blvd., suite 110, is presenting two exhibits this month through July 31. 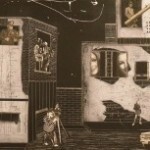 “The h.e.art of HE Kell” features the small paintings of H.E. Kell, a 93-year-old painter from Minocqua, Wis. The second exhibit, “String Theory: Explorations in Fiber as Art,” features sculptures from three resident artists, Lynne Adamson Adrian, Bill Fravel and Debbe Sussman. Self-taught visual artist Alexander P. Huerta has been creating in his small Peacenart Studio on the second floor of the Arts Factory for the last seven years. His first one-man show, “The Vintage Urban Collection,” will be on display through October at the Sahara West Library starting with an artist’s reception on July 23 at 5 p.m.